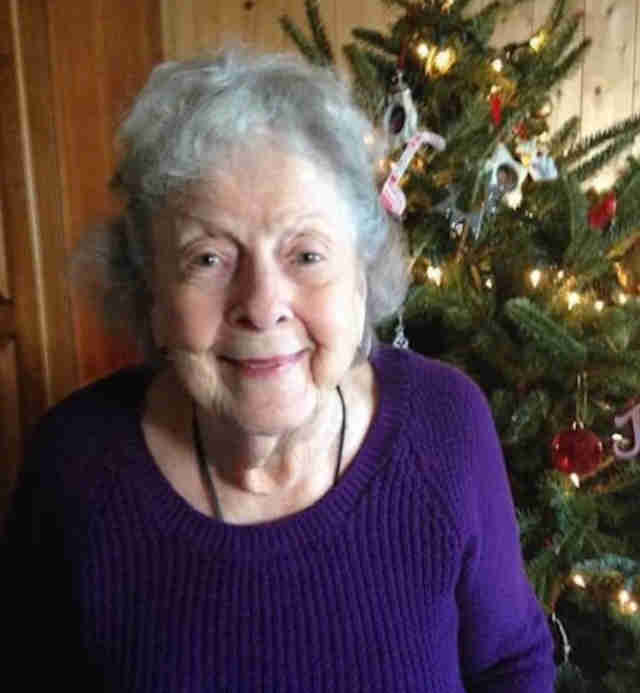 Last month, Dorothy Booth of Virginia passed away peacefully at the age of 97 — leaving a hole in the hearts of all who loved her. But not long after Booth’s death, her grieving family met a mysterious visitor whose sudden appearance in their lives couldn't have come at a better time. 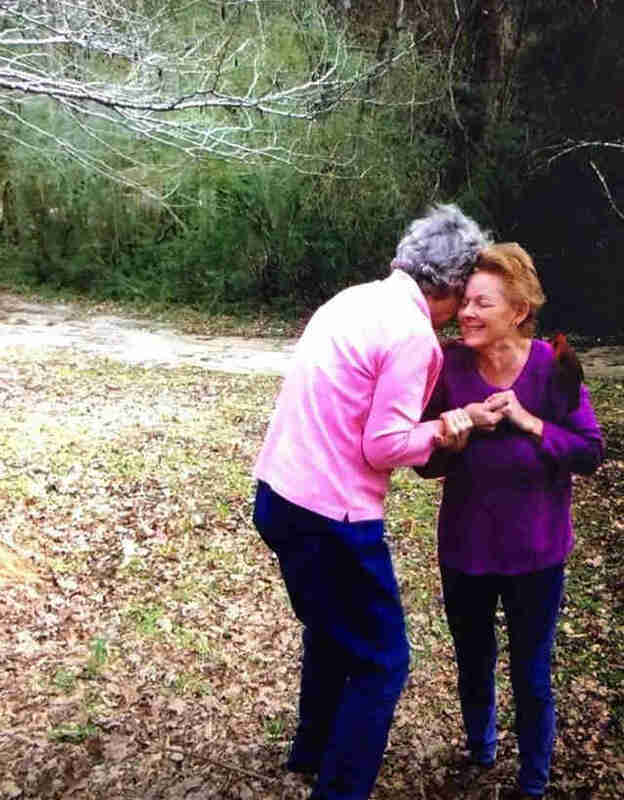 Before Booth passed, her daughters Debbie and Jeanne had spoken to her about what lay beyond, asking that she connect with them beyond the divide if she could. "They talked many times with Grandma, lightheartedly, even jokingly," Angela Abbott Patteson, Booth's granddaughter-in-law, told The Dodo. "‘Hey, when you get to heaven, see if you’re able to send a sign that you’re there, and that you’re happy.’ She would say, ‘I’ll see what I can do!’ They said, ‘Send a cardinal!’ Because that was one of Grandma’s favorite birds." Booth's family believes she fulfilled that request. The day after Booth's memorial service, her family was gathered to play her favorite card game in her honor. It was around this time, Patteson said, they heard something at the kitchen window. Every second with the bird felt to Booth's family like an answered prayer. But after about a few minutes together indoors, they decided it would be best to set the cardinal free. 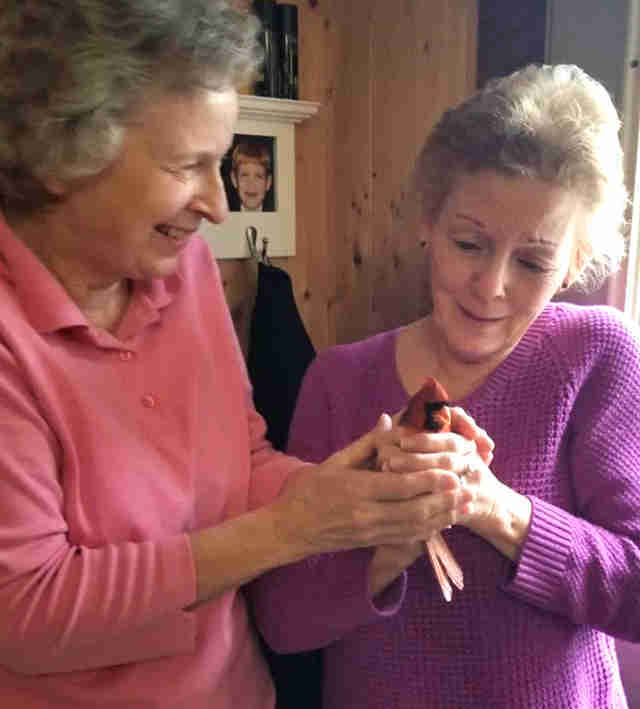 "They tried to release it, but the bird turned around and landed on her shoulder," Patteson said. "They were in sheer delight that that happened." After a few more moments together, Booth's daughters placed the cardinal on a branch. The bird lingered there briefly before flying away. While the cardinal's unexpected visit may seem mysterious from an outsider's perspective, there's no question for Booth's family that it was more than random. "They knew that it was from God," Patteson said. "To have this happen has been so comforting. It’s really helped my mother-in-law and her sister. This was definitely an answer to prayers."